I think it needed to concentrate more on communication skills to develop the students more and more. 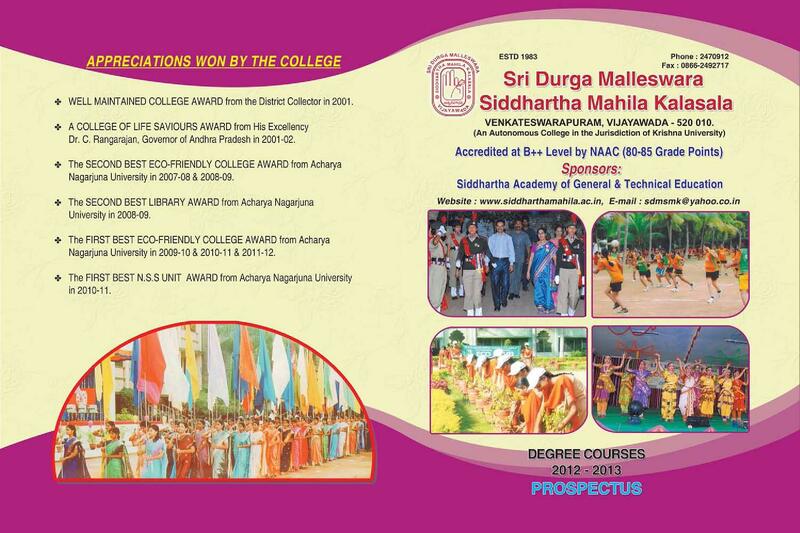 Sri Durga Malleswari Siddhartha Mahila Kalasala- [SDMSM], Guntur, Andhra Pradesh, A prestigious part of the Siddhartha Academy of General & Technical Education the Sri Durga Malleswari Siddhartha Mahila Kalasala is a pleasant campus located in a green surrounding area. With a prime aim to offer quality education to all the students of the college is stepping ahead with a well built infrastructure. 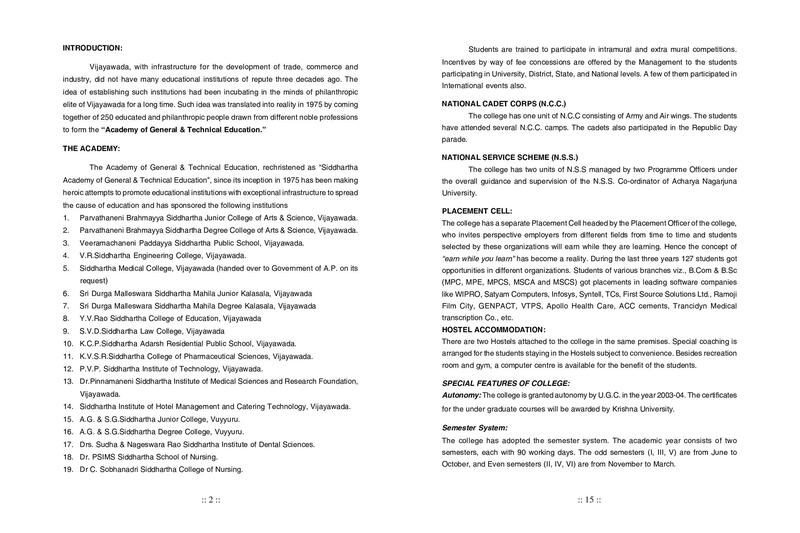 To provide high standard education to students who are financially not stable and the one belongs to backward region the campus is offering numerous courses. 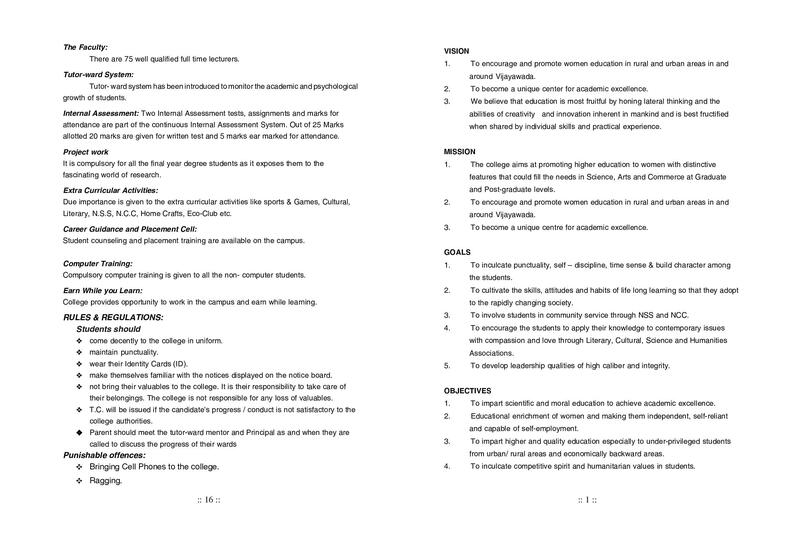 The faculty members even support them to reach the goals by teaching regular academic structure along with basic human values. Airport: Vijayawada Airport is 18.5 kms far from the college and one can reach in a hired vehicle. Railway Station: Reaching the campus in a common local transportation from Vijayawada Station will be easy. Bus Stand: Old bus stand in Vijayawada is 4.1 kms far from the college and one can easily gain access to the campus as there is a fine frequency of buses. Why to join Sri Durga Malleswari Siddhartha Mahila Kalasala, Guntur? Alumni: The alumni association is a group of ex-students who participate in numerous activities organized by the college regularly and even share the information and details regarding the vacancies. Facilities: The campus owes marvelous facilities with which it comforts all the students. 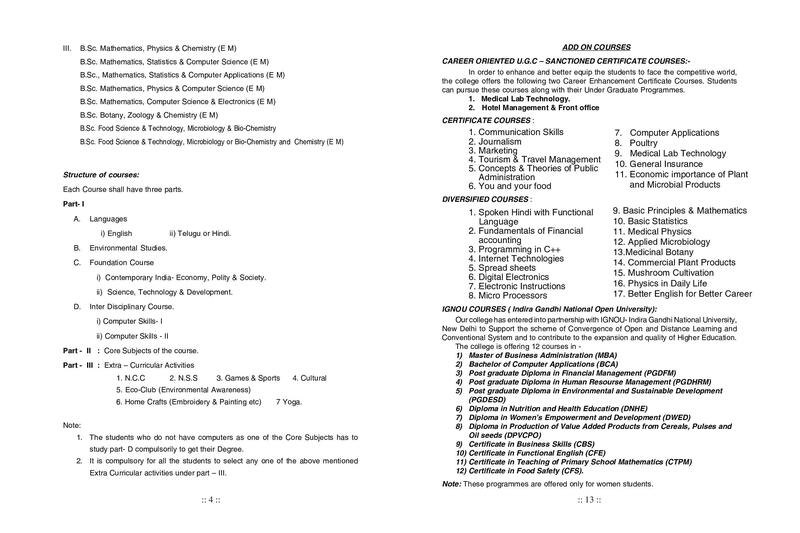 Starting from the seminar halls, well stocked library till the E-class rooms the college offers numerous facilities. 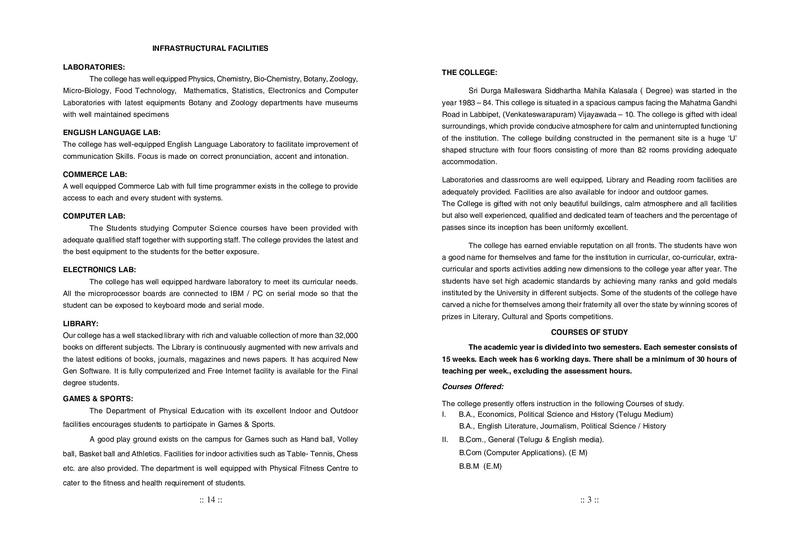 Activities: The College conducts several events and activities that support in the overall development of the students. They offer an opportunity to gain overall development through a few certification courses and various interesting sessions that enhance skills and abilities.